Johannes "John" Kroezen – 82, of Kentville, was called home on Thursday, March 21, 2019 in the Valley Regional Hospital, Kentville. Born in Drente, the Netherlands, he was a son of the late Jan and Aleida (Scholing) Kroezen. He was a man with great faith in the Lord Jesus Christ. In his earlier years, he was a dairy farmer and later, drove a bus for Kings Transit. 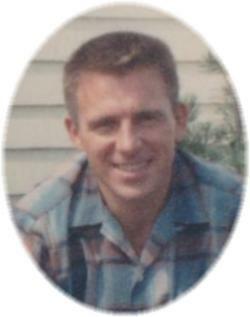 He is survived by three daughters, Kathleen Strong (Ron), Newtonville; Rosemary Kroezen-Bautista (Peter), Rothesay, NB; Aleida Kroezen-Smith (Scott), New Minas; four sons, Ian (Jean), Forest Glen, Yarmouth County; Timothy (Janet), Coldbrook; Egbert (Heather), Kentville; Calvin, Weston; a sister, Libby; a brother, Gary; 21 grandchildren; nine great grandchildren. He was predeceased by his wife, Jane (DeVries). There will be no visitation, by request. A private family burial will take place in the Elm Grove Cemetery, Steam Mill, Kings County. A public funeral service will be held at 2:30 p.m. Tuesday, March 26, 2019 in the New Covenant Community Church, Cambridge, Kings County, Pastor Bill Hogeboom officiating. Donations in memory may be made to the Valley Care Pregnancy Centre or the charity of your choice. Funeral arrangements have been entrusted to the White Family Funeral Home and Cremation Services, Kentville.